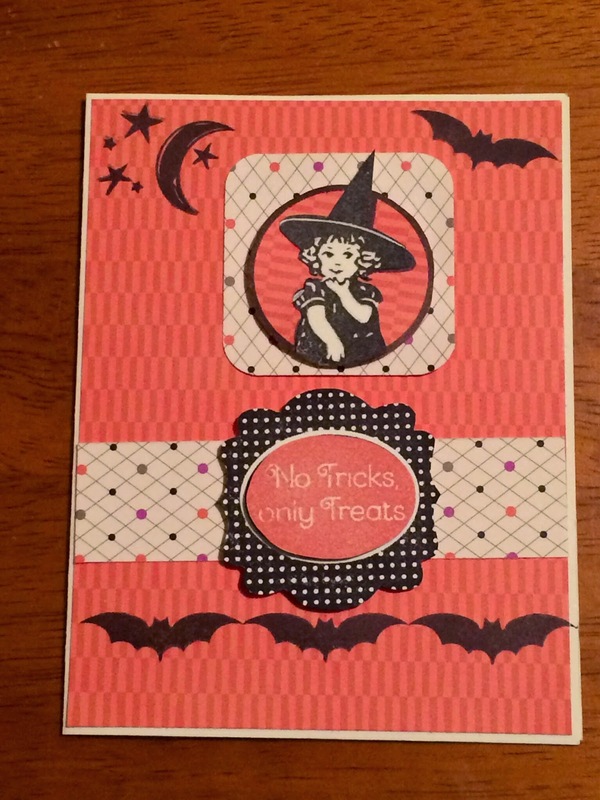 This months challenge is Scaredy Cat paper pack, brought to you by the new Annual Inspirations, hand picked from Nancy Klein. If you came from Jackie Vandaele's Blog then you're in the right place, this is a go around blog hop so you can start anywhere! Just in case, the full list will be at the bottom. So, as always, grab your coffee, tea, water, relax, and hop around the team with us. 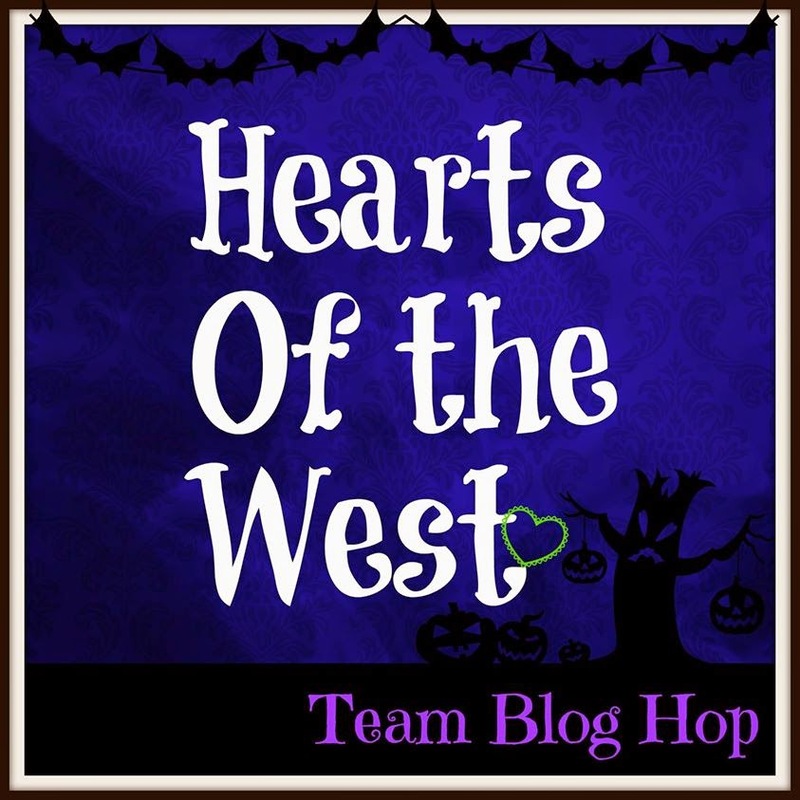 I am excited to be back blogging for this Blog Hop! 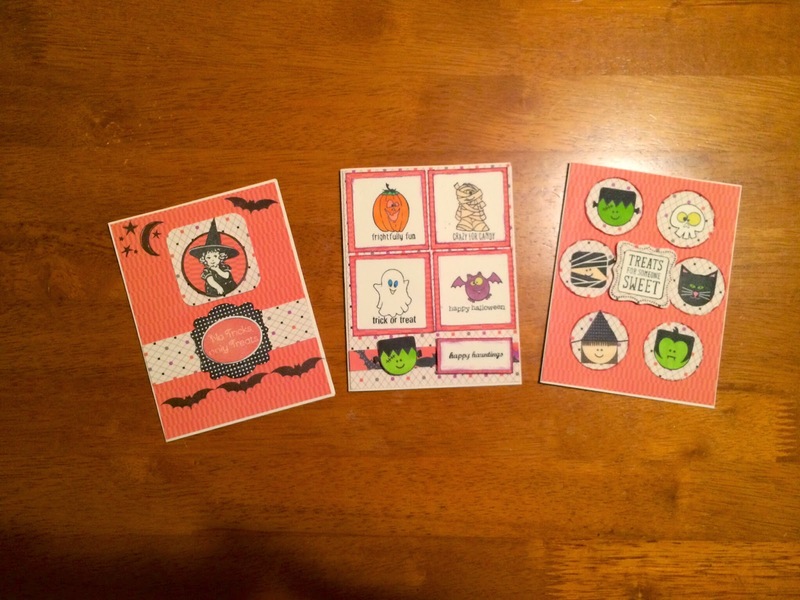 Halloween is so close and because of this challenge I now have cards ready to send to my Mom, my best friend and one for my only dayhome kid. And the cards are ready in time to mail! 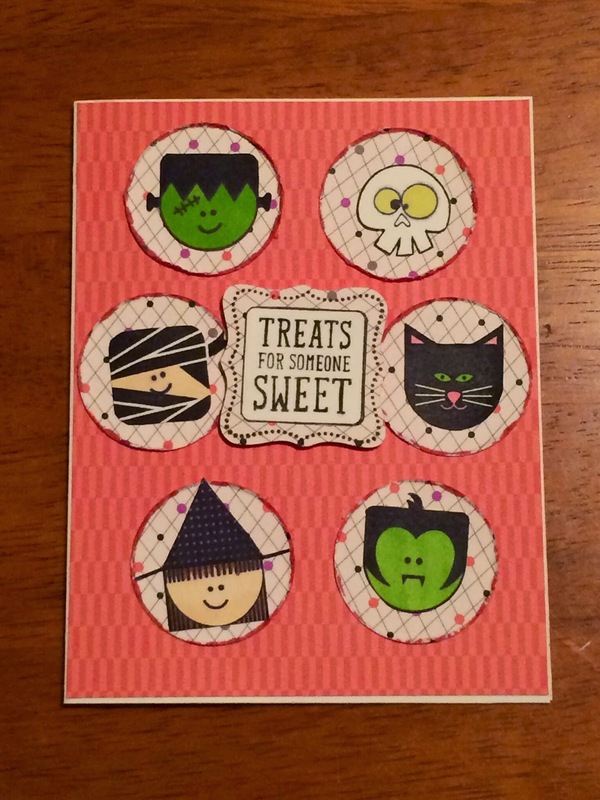 I used stamp set Halloween Greetings (D1605) to make this card. I used the Creative Insider guide for Scaredy Cat as inspiration, so this card came together very quickly and yet it is the one card that is the favorite among those people I have shown my cards to! This last card uses Trick or Treat Sweets (B1460) plus the Skull from the previous card. I used my new CTMH ShinHan markers to color in the characters on this card and the Frightfully Fun images too. These markers made the stamped images become Characters! It was coloring the images that made me realize that the Mummy image was actually a cute Ninja! Your next stop is Linda Pekrul. 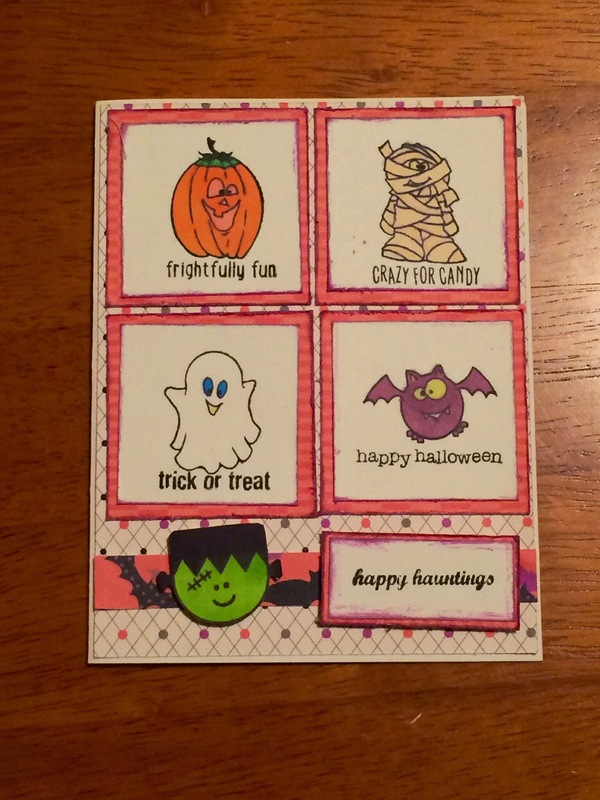 Frightfully fun cards! 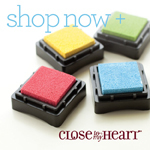 I love how you showcased three different stamp sets and three different layouts. Beautiful cards Anna! Thanks for sharing how fun different cards can be! great cards. The first is also my favorite!